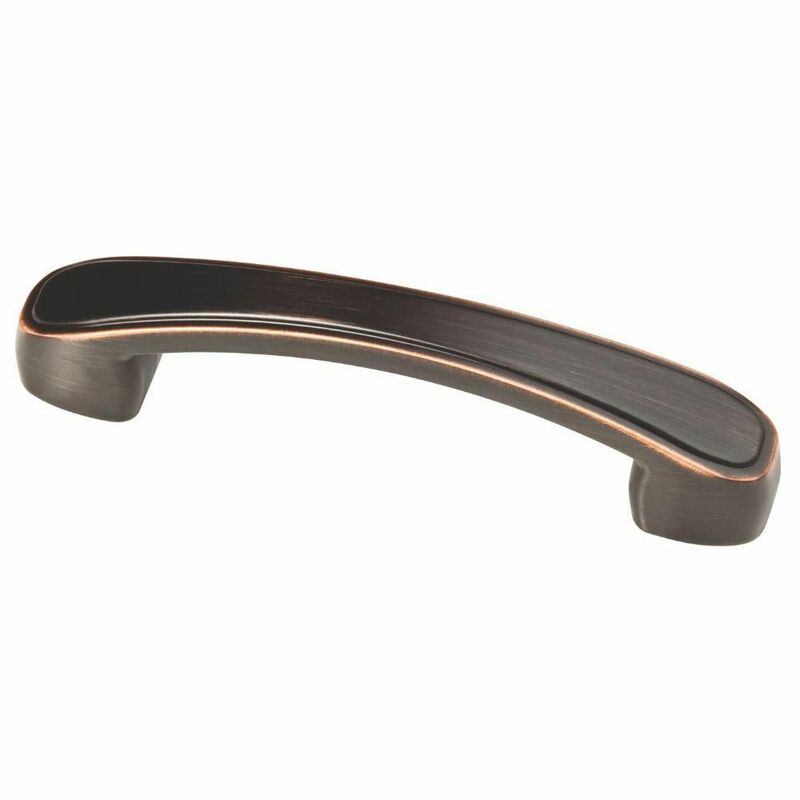 The Amerock Esquire 3-inch and 3-3/4-inch (76 mm and 96 mm) CTC Pull is finished in Oil-Rubbed Bronze. Innovative, groundbreaking ideas are the inspiration that drives Esquire. This striking mixed media collection pairs upscale finishes with textured accents that puts any room on the cutting edge of design. The Oil-Rubbed Bronze finish is a rich, dark brown old world finish with striking light and dark accents. Amerock markets decorative hardware solutions that inspire, coordinate and help express personal style. For the kitchen, bathroom and the rest of the home, with a variety of finishes and designs for all decorating tastes, Amerock is the ultimate, time-tested source for hardware needs. Amerock markets products in four categories: decorative hardware, decorative hooks, bath accessories and functional hardware. 3 in. or 3-3/4 in. Dual Mount Kirkwood Pull Add the perfect decorative accent to your traditional styled kitchen or bathroom cabinetry with the Liberty 3 in./96 mm Dual Mount Kirkwood Pull. With its classic design and rich Bronze with Copper Highlights finish, this knob is sure to be enjoyed for years. The Liberty Kirkwood Pull features 3 in. or 96 mm center-to-center rear mounting. 3 in. or 3-3/4 in. Dual Mount Kirkwood Pull is rated 4.7 out of 5 by 3. Rated 5 out of 5 by Skeeter from Exactly what we wanted in appearance and feel...at a good price. We've used these cabinet handles... Exactly what we wanted in appearance and feel...at a good price. We've used these cabinet handles three weeks and are very happy with our purchase. Rated 5 out of 5 by HDEX from I loved the look and feel of these handles. They come with 2 sets of screws and 2 options for len... I loved the look and feel of these handles. They come with 2 sets of screws and 2 options for length of screw openings. They seemed to be well made and looked nice on the cabinets. Rated 4 out of 5 by Flower0302 from good quality I was very happy with the quality of these pulls for the price. A great alternative to the more expensive ones I looked at custom-ordering from hardware/cabinet stores.